This is the account of John G. Paton's pioneering mission work among cannibals in the New Hebrides (now Vanuatu). Living among constant dangers and death threats, battling against illness and enduring great personal loss and sacrifice, John G. Paton laboured on and showed great love for the island peoples. He had the joy eventually seeing people come to Christ and living a totally transformed lifestyle. The material which John G Paton had collected over the years were compiled and edited by his brother Rev James Paton who supported John Paton in Scotland. Rev Paton was an author and Presbyterian minister in Scotland. 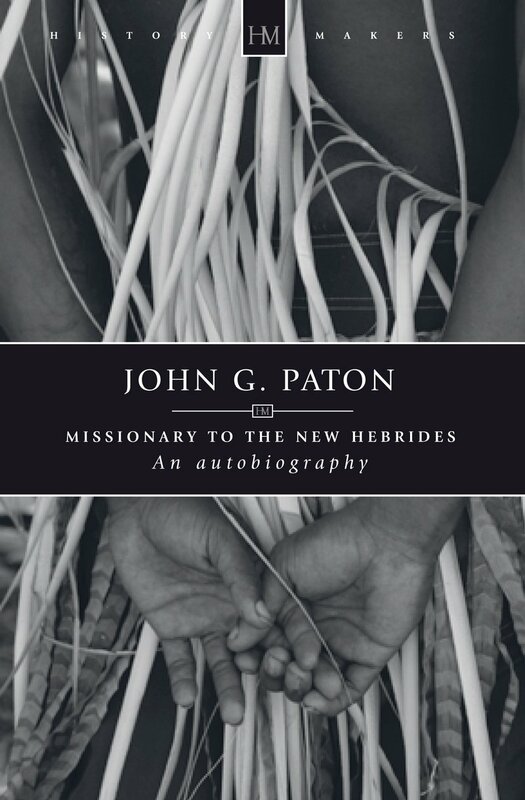 John G. Paton by James Paton was published by Christian Focus Publications in May 2009 and is our 27279th best seller. The ISBN for John G. Paton is 9781845504533. First published 1889, this autobiography is the life of John G. Paton, who was born in Dumfries, on the road to Lockerbie, in May 1824, and which provides not only a fascinating glimpse of the life of a 19th Century missionary but also gives a vivid account of the times in Scotland, Australia and in the South Seas. Following medical training Paton became a City Missionary serving in Glasgow for 10 years before applying for an overseas missionary posting in 1857. He became an ordained minister, and sailed for the New Hebrides (now Vanuatu) the following year. His first experience , once he had arrived at his mission centre, was to witness two warring parties fighting in the village that was to be his base. During the fighting six men were captured, killed, and eaten and Paton realised what a massive task faced him. Nevertheless he spread the word of the Gospel and whilst his mission amongst the natives was full of amazing, life threatening adventures his trust in the Lord never deserted him and he eventually returned to Australia where he died in 1907. Got a question? No problem! Just click here to ask us about John G. Paton.